The University of Glasgow has today (Sunday 16 September 2018) published a comprehensive report into the institution’s historical links with racial slavery. The report, co-authored by Professor Simon Newman and Dr Stephen Mullen, both from the University of Glasgow, follows a year-long investigation into bequests, support and other ways the University might have benefited from slavery-related wealth. Professor Sir Anton Muscatelli, Principal and Vice-Chancellor of the University of Glasgow, said: “The University of Glasgow has a proud record of anti-slavery activity including petitioning Parliament to abolish slavery and awarding an honorary degree to the emancipationist, William Wilberforce. Glasgow also educated James McCune Smith, a formerly enslaved New Yorker who became the first ever African American to receive a medical degree. The University will also work to further enhance awareness and understanding of the history and its connections to both slavery and abolitionism. 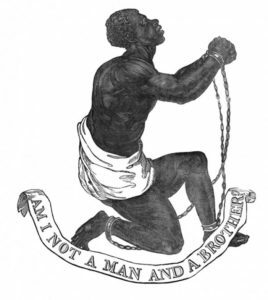 Professor Simon Newman, the University of Glasgow report’s co-author, said: “The University of Glasgow has made history in the UK today by acknowledging that alongside its proud history of abolitionism is an equally significant history of financially benefitting from racial slavery. In doing this, Glasgow follows in the footsteps of leading American universities which have confronted the role of slavery in their histories. “The University of Glasgow is an institution that grew in a city tied to the trade in tobacco, sugar and cotton, all of which were initially produced by enslaved Africans. Launching an in-depth investigation to look at how the University might have benefited from the profits of racial slavery was, in my opinion, a brave decision. But it is a decision rooted in the core values of an educational institution dedicated to the pursuit of truth and social justice. One of the three external advisors to the slavery report was Professor Sir Hilary Beckles, the Vice Chancellor of the University of the West Indies; along with Professor Sir Geoff Palmer, a leading civil rights and equality campaigner and Graham Campbell, a Glasgow City Council councillor and an activist for African-Caribbean issues in Scotland. Professor Sir Hilary Beckles said: “I have looked closely at the report, reading it within the context of the University of Glasgow-University of the West Indies framework for mutual recognition and respect. “The approach adopted by the University of Glasgow is commendable and is endorsed by the UWI as an excellent place to begin. Both universities are committed to excellent and ethical research, teaching and public service. Publish the Senior Management Group’s statement of July 2016, along with the final version of the report detailing the research and conclusions of the research into how the University benefited from the profits of historical slavery, and a statement describing the reparative justice actions to be undertaken by the University. Strive to increase the racial diversity of students and staff and to reduce the degree attainment gap, in line with the University of Glasgow’s Equality and Diversity Policy. This will include awarding scholarships to BAME students of Afro-Caribbean descent to help address their under-representation in the University. Pursue the negotiation and signing of a Memorandum of Understanding between the University of Glasgow and the University of the West Indies, designed to fit the needs and requirements of UWI staff and students, while working in alignment with the educational and research objectives of the University of Glasgow. Create an interdisciplinary centre for the study of historical slavery and its legacies, including modern slavery and trafficking. Inaugurate a named professorship, a rotating post to be awarded to University of Glasgow academics undertaking significant research relevant to historical and modern slavery and reparative justice. Name a major new University building or space to commemorate a significant figure, perhaps James McCune Smith, with appropriate signage and public-facing information. Add a commemorative plaque to the Gilbert Scott Building, explaining that this was the site of the house of Robert Bogle, a West India merchant who owned many enslaved people, and who was one of a number of people who made money from slavery and who then later donated funds for the construction of the building. Develop a Hunterian exhibition exploring the often unknown and unexpected ways in which some items within the collections are related to the history of racial slavery. Develop a creative arts and sciences series (under the auspices of the new centre), with performances, events and lectures.